Mercedes Benz provides the performance, quality, and luxury you expect from a European automaker. When you purchased your Mercedes, you knew you were making a lucrative investment. 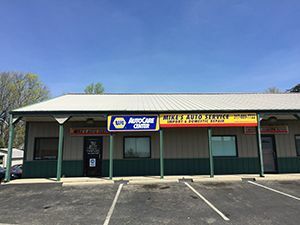 Here at Mike’s Auto Service, we take Mercedes service and repair very seriously in Greenwood, Indiana. We only use NAPA® and OEM auto parts for dealership schedule maintenance, minor repairs, major repairs, replacements, and more. Our NAPA® authorized auto care center houses everything our ASE certified mechanics need to provide superior Mercedes repair for all model Mercedes SUV’s, cars, sedans, and trucks. Our resources and training, combined with our enthusiasm for quality work, ensures we get the job done right the first time. You can trust that our highly trained and qualified technicians know exactly what’s best for your Mercedes Benz, and will treat your vehicle as if it were their very own. We retain the latest technologies, resources, and training to provide exceptional European auto repair for Mercedes Benz cars, SUV’s, trucks, and sedans. As a family owned and operated company, we are strong believers in work ethic and integrity, which is why we provide high-class automotive service at economy-based prices. You can get exceptional Mercedes Benz repair at a fraction of what the dealership will charge! We also offer tow truck services, written estimates, and new customer discounts. Call us at 317-889-7722 to schedule an appointment, today.